Incorporates sand and natural elements into sterling silver jewelry, handmade in its Boston studio. Its Sandbank contains over 3,300 locations from around the world or customers can send their own sand or natural elements. 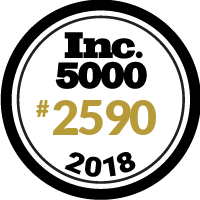 A kitchen table entrepreneur making it onto the INC 5000 list! CAN YOU BELIEVE IT? I'm honored, proud, elated & excited for the future!